Handmade wooden creations: functional, beautiful, fun! Handmade Solid Wood Cutting Board ~ Hard Maple Butcher Block ~ Chopping Board ~ FREE SHIPPING! Great communication, received quickly, great product! Handmade wooden creations that are functional, beautiful and fun! 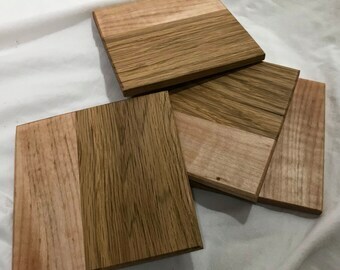 As a family committed to living debt free, I make and sell high quality wooden items to help us earn enough income to fuel my woodworking hobby and bring in some extra money for retirement savings, too. The name of my shop, Living 13:8 Designs, is based on our family's Bible verse, Romans 13:8. It says to "owe no man any thing, except the continuing debt to love one another." 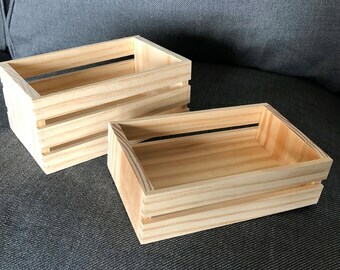 I've been woodworking since 2003 when my wife and I married and we needed to furnish our home. Some of those early pieces were U-G-L-Y, but my passion for making something from a rough piece of lumber into a finished piece of art was born. That passion has never faded and Etsy allows me to use it in a small way to share my passion with others. Everything you find for sale in my shop is made in my wood shop, a one-car garage at our home in the southwestern part of Virginia, in the heart of the Appalachian Mountains near the New River Valley. For most of the projects I sell on Etsy, I've reclaimed wood from larger projects or saved a piece of wood from the firewood pile. This is why I can offer such high quality products at a reasonable price. I currently have a full-time job (Marketing Manager for a large industrial manufacturer), help my wife run Humorous Homemaking, a place where we help others learn to manage their homes without losing their minds (http://www.humoroushomemaking.com), we're raising our four kids (ages 7, 4, 2, <1) and I help around the family farm as needed. So I guess you could say I was looking for something to fill my time ;0) - Etsy is the perfect fit. Annie is 8 years old. She loves to finger knit, crochet, draw and craft things for her family and friends. 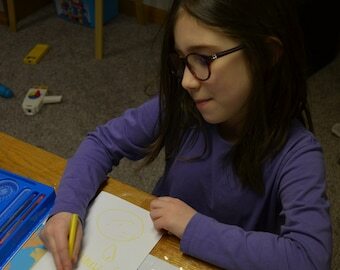 Annie creates custom greeting cards for Etsy using her original designs. She also helps with packaging and product ideas.